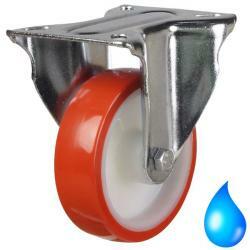 We believe it should be easy for everyone to find the right wheels and castors for their application in a few minutes. We cater to a variety of industries, to suit all our customers requirements. 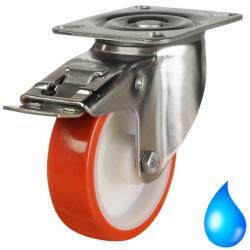 Our stainless steel castors are built to last, ideal if you're in the food processing market, and require strong waterproof castor housing and wheels. 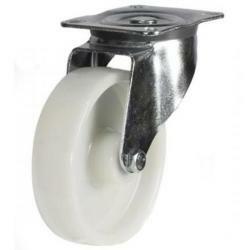 We have fixed, braked, bolt hole and swivel styles available within our stainless steel castors range. 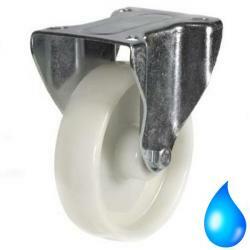 The majority of this range have solid nylon wheels, which are friendly on your flooring, able to withstand impressive load capacities, yet remain light in weight. The wheel diameters throughout our stainless steel castors range vary from 80mm to 125mm, with weight capacities between 100kg to 270kg. 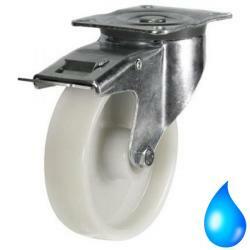 For more detailed specifications, please view individual wheels and castors by selecting the images. With so many to choose from, you'll be spoilt for choice. 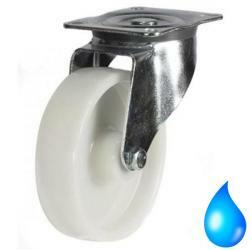 If you have any questions regarding our stainless steel castors range, please do not hesitate to contact us today.